The itinerary features the best of India, from culture and heritage to beach resorts and mountain getaways. Start with the famous Golden Triangle which takes in the capital Delhi, Agra with its famous Taj Mahal and stunning Jaipur. You’ll also get to explore the bustling streets of Mumbai and then relax on the beach for a few days in Goa with its beautiful sandy stretches and warm waters. 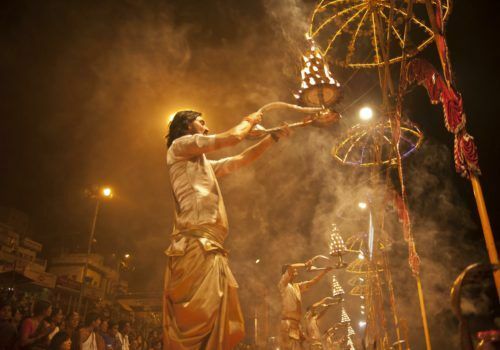 For the best that India has to offer, this is the trip for you. After breakfast in the morning, you’ll be taken on a half day city tour of Old Delhi visiting Raj Ghat – The Mausoleum of Mahatma Gandhi. In the afternoon you’ll take a tour of New Delhi. Drive past President House, Parliament House and India Gate, The War Memorial where you’ll stop for photos. It’s then on to Qutub Minar which began being built in 1199 and is a UNESCO world heritage site. 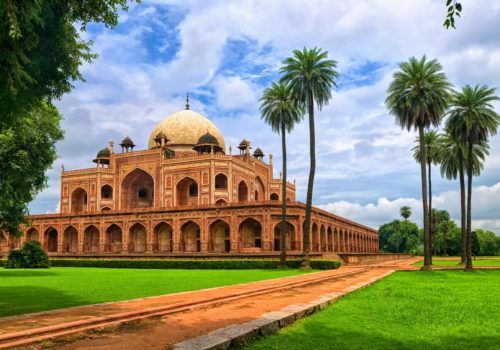 Later, visit the Bahai Lotus Temple and also visit Humayun’s Tomb from 1572 – built of red sandstone and the first substantial example of Mughal architecture. After breakfast, it’s an early morning drive to Agra (205 Kms), the city of the Taj Mahal. Upon arrival, check-in at your hotel and then visit the Taj Mahal built by Mughal Emperor Shah Jehan in the year 1652 as a memorial for his beloved wife Mumtaz Mahal. The grandeur called the Taj is perhaps the most photographed, filmed, described and sketched building in the world. 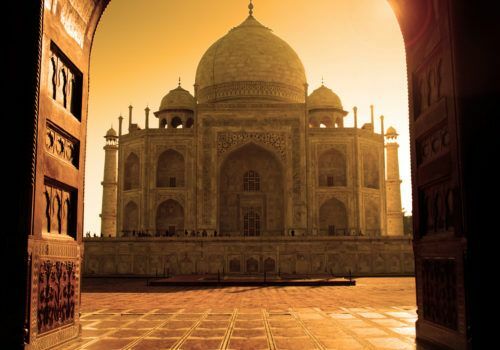 An inspiration for numerous artists over the centuries, the Taj is an ode to love. Later in the day visit the Red Fort, the magnificent structure which at its very first sight looks invincible. The fort had been the seat of the Mughal power until the capital was shifted to Delhi by Emperor Shah Jehan. The morning after breakfast drive to Jaipur – the pink city of India. Enroute visit Fatehpur Sikri, another UNESCO world heritage site and once the capital of the Mughal Empire but abandoned after 15 years due to the scarcity of water. Its fortifications and palaces are in a wonderful state of preservation. Upon arrival in Jaipur check-in at the hotel. Later in the evening time free to go around the city and drive past the Hawa Mahal or the Palace of windows. Witness the charm of the old city of Jaipur during the evenings. After breakfast, it’s time to take a trip to the city. You’ll visit Amber Fort, remarkable for the majestic grandeur of its surroundings as for its sturdy battlements and beautiful palaces. Climb up to the fort on the back of an elephant or by jeep. Later in the afternoon visit the City Palace where a part is still the residence of the erstwhile royalty. Enjoy the wonderful museum located inside the palace. Next to palace is the observatory or the Jantar Mantar as it is commonly known. This observatory is so scientifically built that it can give you an accurate time. The evening is free for you to explore and shop. After breakfast, we’ll take you to the airport for your onward flight to Goa via Mumbai. We’ll then take you to your hotel where the rest of the day is yours at leisure to begin unwinding. After breakfast visit Panjim City. Panjim, a former fishing village, is now a town throbbing with business and tourists in abundance. Visit the oldest monument in Panjim; the Idalco or Adil Shah’s Palace built in 1490 and there is also the beautiful Church of Our Lady of Immaculate Conception. Also, visit the famous church Basilica of Bom Jesus. The afternoon is yours to relax at the beach or at your stunning hotel, known as one of the best on the island. The day is yours to enjoy the beach, watersports or hang out by the hotel pool. Visit the beach in the morning before heading to the airport for your flight to Mumbai. On arrival, you’ll visit the Gateway of India and the Victoria terminus building, now a heritage building. Drive past Marine drive in the evening and enjoy the typical Mumbai sea beach experience.